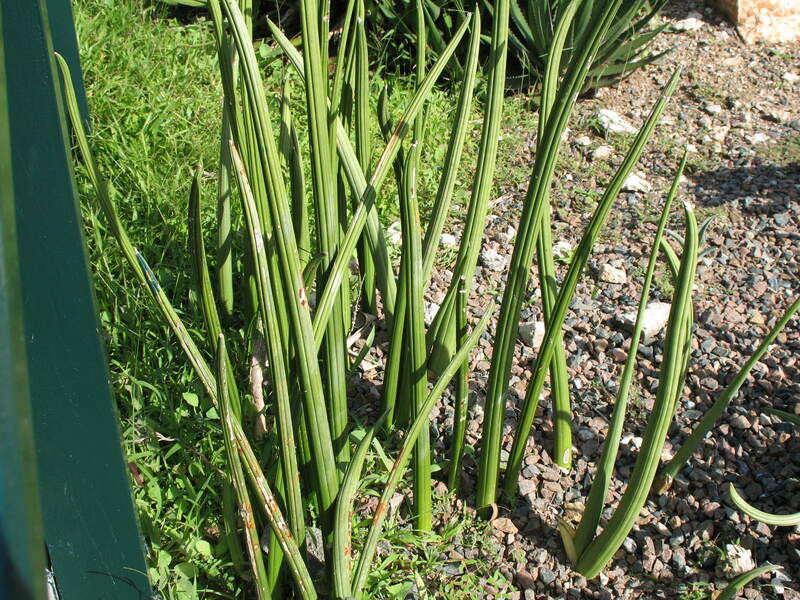 Comments: This is a long lived tropical that produces off-shoots and is especially effective growing in large containers or in indoor landscapes and other places where freezing temperatures do not occur. This plant is thought by many to bring health and longevity of life. Leaves are tall and thick. The cultivar 'Skyline' is reported to be an especially good selection to grow in containers and in interior plantscapes.